The Vancouver housing crisis is creating a crushing pressure even UBC doesn’t know how to fully solve. “I have friends who are second- or third-year, and they’ve been on waitlists for a studio in Ponderosa for eight months or something crazy like that,” said first-year student Nicholas Rahming. “I’m in the department where we are losing young people ... and we can’t hire new people once they see the price of housing,” said mathematics professor Dr. Nassif Ghoussoub. “I simply could not continue commuting for so many hours per day, particularly with a young son,” said former Associate Dean in the faculty of graduate studies Thomas Pedersen about his three-and-a-half hour commute between Bowen Island and UBC, in a previous interview with The Ubyssey. 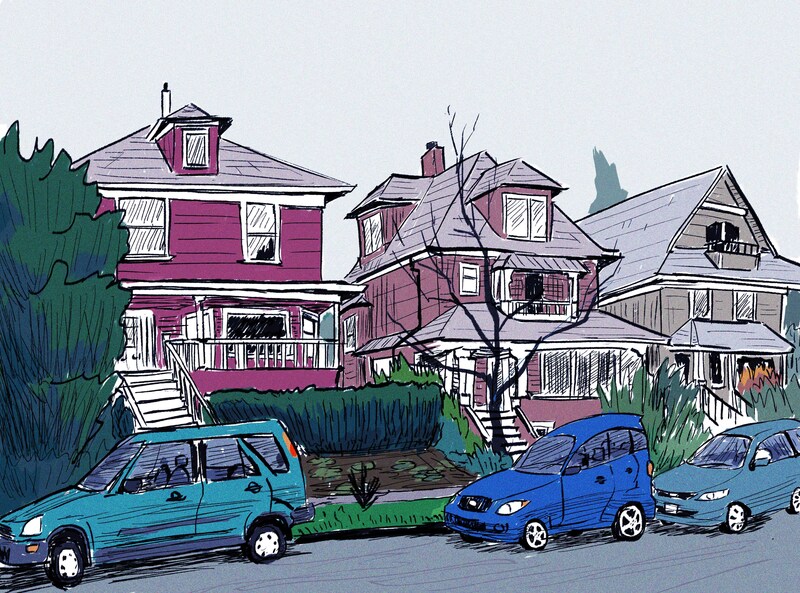 From students' housing insecurity to the university’s loss of talent, the diverse and far-reaching impacts of Vancouver’s expensive housing market on UBC are clear. Yet, these are just three stories within a multitude of housing struggles that have been extensively documented by The Georgia Straight’s Renters of Vancouver series and past coverage by The Ubyssey and other media outlets. And there doesn’t seem to be an end in sight for this issue — this year alone, UBC “reached an all-time high of 6,000 [waitlisted] students,” according to reporting by CBC, and the average rental rate for a one-bedroom apartment in the city surpassed $2,000 in 2017. According to the 2017 Student Issues Survey, students in the Lower Mainland and Vancouver who don’t live with family now pay, on average, $999.29 per month for rent. With much attention already given to the problems, The Ubyssey instead examined the solutions this time: what are UBC and the AMS doing to mitigate the effects of the Vancouver housing crisis on students, staff and faculty? As the 2012 Housing Action Plan comes under review in December, what tangible solutions can UBC community members facing increasing financial burdens expect? Evident by the number of times that UBC has been referred to as the “University of Building Construction” by students and the number of detours on campus, it is building constantly. Since 2011, the number of beds in student residence has increased from just under 9,000 to 11,796 according to a media backgrounder, making UBC the largest provider of on-campus housing in Canada. This increase was brought about by an investment of $419.5 million into several projects, with Orchard Commons and Ponderosa Commons being the most significant at $127.5 million and $165.5 million respectively. Two developments worth “close to half a billion dollars” are also underway for 2021— Gage South Student Residence that is being built in conjunction with the new bus loop and one that is still in development. Together, these two developments are expected to create 1,300 new beds and bring the total to 13,100. Demand is also a deciding variable, but it is unlikely to slow down enough to hinder development. “Student demand for on-campus housing has expanded significantly since . Updating this commitment to reflect current demand and ensure that we continue to add beds past the 2010 targets is important,” said student member of the UBC Board of Governors Kevin Doering in an emailed statement. According to AMS President Alan Ehrenholz, the desire to live on campus goes beyond wanting a quick commute — it’s about students taking advantage of things they can’t with so much time spent in traffic or the financial pressure of finding a place in the expensive neighbouring areas. “You see 6,000 students on the waitlist and you kind of think, ‘Holy man, that’s a lot of students who are looking for a place to stay.’ Where are those students going?” said Ehrenholz. “Maybe they’re going back home, maybe they’re finding a place in Kits, but there is a desire to live on campus because it puts you so much closer and more central to the campus and the campus community. For staff and faculty who often want more permanent solutions than September-through-April leases, the solution goes beyond increasing the general supply of housing. As mandated by the 2012 Housing Action Plan (HAP) approved by the UBC Board of Governors, 30 per cent of future housing — mainly those in the south campus neighbourhood — will be rentals and 20 per cent will be restricted to staff and faculty at a lower price. According to Lisa Colby, managing director of faculty staff housing and relocation services, these policies increased the number of discounted rental units for faculty and staff to 511 units this year and are expected to create another 214 units next year. By the end of the implementation of HAP — when the south campus neighbourhood is fully developed — there will be approximately 1,800 discounted rental units and an additional 900 units at market price. Non-profit rental was also advocated for by HAP, and is now being implemented through a rent-geared-to-income program. Expected to launch in Spring 2018, it allows staff making less than $64,500 to rent 100 units at 30 per cent of their household income for 10 years. The recipients will be chosen via lottery. UBC is also tackling the issue through financial assistance via loan options, such as the Down Payment Assistance program (DPA) and the Prescribed Interest Rate Loan program (PIRL). They are currently being carried out under the 2016 10-year Faculty Housing Strategy — an update to the Faculty Home Ownership Program (FHOP) that was introduced in 2014. Both plans operate under HAP. These offers are also only available to faculty — especially those with tenure or tenure-track — as part of UBC’s recruitment and retention strategy. First introduced in 2009, DPA offers an annual $45,000 forgivable loan over five years with no interest to members who wish to buy a house in Metro Vancouver and Bowen Island. For faculty who joined after July 1, 2017, this amount has been increased to adjust for inflation. When asked if faculty find this level of assistance to be sufficient given Vancouver’s skyrocketing housing prices, Colby acknowledged the challenge. “All of these programs are evolving. For recruitment and retention [reasons], we want to help mitigate this problem for people. These are things that we may modify as we realize that they need to be modified,” she said. According to her, it is also “very popular” — on average, approximately 50 people have taken advantage of the program per year since its start. In contrast, PIRL offers a one-time but larger loan between $50,000 and $500,000 for home purchase in Metro Vancouver and UBC. Recipients would be chosen by the Provost’s or Dean’s Allocation Committee based on merit. Since this program is funded by the Faculty Housing Assistance Financing Endowment — a new $10.4 million fund that partly derives from UBC Properties Trust’s (UBCPT) land lease proceeds to the university — its capacity is limited. Since PIRL was only launched this summer, Colby was not able to give an uptake number, but she also expects it to attract a high level of interest. Housing affordability in the abstract is a complex issue, but at the individual student level it takes on new implications for what UBC can reasonably offer its students — and what it can expect them to be able to take advantage of. The AMS, which has housing advocacy as a key priority in multiple portfolios, sees the direct impacts that affordability of housing and consequently the cost of living has on the students it represents. In particular, the 2017 AMS Academic Experience Survey showed that 19 per cent of undergraduates lacked a dependable nighttime residence at least once during their degree. Last spring, the AMS conducted the Student Issue Survey (SIS) in partnership with nine other post-secondary institutions in the Lower Mainland and Victoria in order to get a better understanding of where students see the price of housing, among other factors, impacting their educational and professional decisions in Vancouver. According to the SIS, 49 per cent of students are not planning to stay in Vancouver after graduation, and of those 49 per cent cite the high cost of living as their primary reason. For Ehrenholz, the election of an NDP government in BC this past May, the Stadium Neighbourhood at UBC in its planning stages and the HAP checkpoint coming up in December are priming this year to be key for housing affordability and accessibility at UBC. Through the VP External and the VP Academic and University Affairs’ portfolios, the AMS is looking to advocate for the university to allocate more new housing for students and also lobby the provincial government to allow the university to borrow externally to fund student housing instead of only from its own endowment. “A new government is always an exciting time period because new government means new promises [and] new opportunities for both the AMS and UBC to advocate for things … not just about affordability and accessibility but with Rent with Rights and the legal rights of students living on campus,” said Ehrenholz. Students living in university residences lack the rights of tenants in private accommodation because residences are exempt from the BC Residential Tenancy Act. Ehrenholz noted that educating students both on and off-campus through the upcoming edition of the Rent with Rights campaign will be essential to ensuring students can advocate for themselves under current legislation, but that changing that legislation is the ultimate priority to ensure long-term protection in an increasingly pressured market. Accordingly, Kate Wilson — the journalist behind The Georgia Straight's Renters of Vancouver column — advised everyone to have a good understanding of the Residential Tenancy Act in order to survive the Vancouver housing market. Despite efforts to improve conditions within the current policy framework, Ehrenholz stressed that the AMS sees increasing accessible and affordable housing under the HAP is essential to students’ basic well-being and their experience at UBC as a whole. “At the university level, the Housing Action Plan obviously provides a platform to push all of the needs, the desires of our students in terms of affordability, accessibility and the Rent with Rights aspects here on the campus,” said Ehrenholz. “The opportunity to have affordable and accessible housing here on campus can facilitate better social interaction, allow students to participate in clubs and different activities on campus [and] really feel a part of that campus community. According to Doering, defining affordability is also a priority for the student members of the Board, particularly regarding HAP’s Policy 11 which makes a commitment to keeping rents in student housing at or below market rates. “The definition of market rates and how this ties into the purpose of student housing is something we feel is important to discuss. I know this is also something that has been a point of contention for students during past increases to rent,” wrote Doering. Advocacy is not students’ exclusive domain — UBC also played a part in advocating for a greater shelter allowance in BC’s student loan program, according to Managing Director of Student Housing and Hospitality Services Andrew Parr. In 2013, the shelter allowance for BC student loans was $592 per month before being increased to $733 for the 2014/15 school year. Now, the allowance is at $851 per month. He also noted that only 23 per cent of UBC’s housing units were below the $592 mark — this share jumped up to 64 per cent when the $733 level was introduced. “It’s a good leap,” Parr said. Aside from these three large umbrellas, there are also smaller strategies that UBC and the AMS are pursuing to mitigate the effects of the Vancouver housing crisis on students, staff and faculty. Still, much remains to be done, and there are also valid criticisms from the community of the current structure and solutions. Based on the interviews with students for this piece, one issue that stood out due to its previous lack of coverage is the revocation of guaranteed accommodation for first-year students if a housing offer is not accepted by June 1. For those whose admission applications were waitlisted past this deadline, the criterion becomes impossible to meet. They would then have to find a place on their own or join the waitlist, adding more pressure and vulnerability to an already stressful transition — especially for international students. “I came here as a first-year, but I wasn’t guaranteed housing because my offer [to UBC] came after the date,” said Rahming, a first-year student from the Bahamas. “I actually came to Vancouver not knowing where I was going to live. Kate Sensenig, a second-year student, further highlighted the difficulties for international students regardless of their year level. Concern also exists within HAP itself — since its approval by the Board of Governors in 2012, its first policy regarding restricted homeownership for faculty still has yet to be implemented. This policy would mandate that 10 per cent of new campus housing units be restricted to ownership by tenured or tenure-track faculty. Their price would also be discounted at 33 per cent below the market value. Ghoussoub, who also chaired the Community Planning Task Group that developed HAP, recalled that it was not even in place after the plan has already been approved for a year. Later in 2014, the Restricted Resale Capped Appreciation Program was developed under FHOP to carry out the mandate, but was cancelled in 2015. According to previous coverage by The Ubyssey, no units were sold under this option. Colby attributed this cancellation to tax benefits and provincial regulations related to the Real Estate Development Marketing Act (REDMA). Under REDMA, UBC would be considered a “developer,” which would expose the university and its board members to a certain level of liability. “These two things combined in a such a way that the model we hoped to use to deliver that program was no longer viable,” she said. “We have introduced some loan programs to give faculty financial support to buy homes off campus in the interim, and we’re still working on other ways to hopefully bring in a model that does what the original one was trying to do. As construction and advocacy take time to come to fruition, housing woes continue to be a part of many students, staff and faculty’s Vancouver experience. They can even be an occupational hazard of pursuing an education or career at UBC. The impacts this pressure could have on future staff and faculty attraction and retention are difficult to measure, but when housing instability comes in a package deal with UBC’s “place of mind,” it becomes an even more difficult sell to potential students and faculty — if they consider coming to UBC at all. 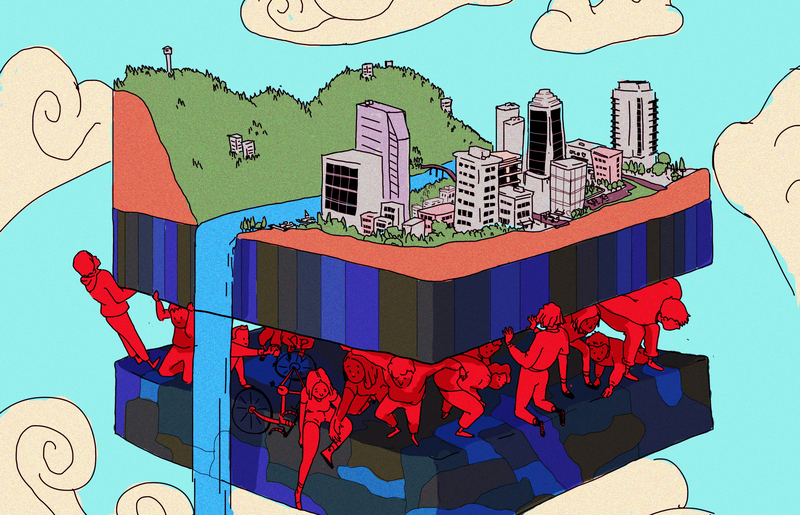 Colby acknowledged the core struggle UBC faces to insulate itself from the housing crisis — as long as people want to live and invest in Vancouver, it can’t do anything to solve the underlying problem. Instead, it focuses on treating the symptoms. “The housing market is definitely a challenge. All our programs are designed to mitigate things, but they can’t fully solve the problem,” she said. “We do what we can and what we could afford to do.